Teste seus conhecimentos sobre o Artigo Definido no Inglês. 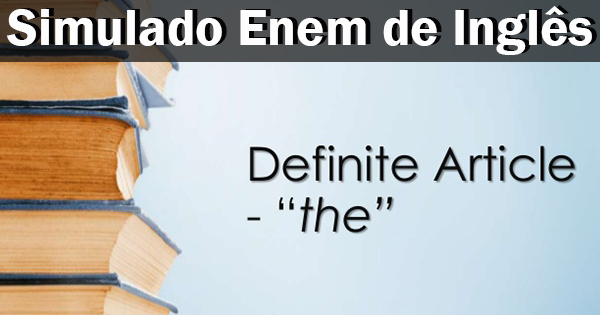 São apenas 10 questões do Simulado Enem Online de Inglês para você mandar bem na hora da prova. Caso erre, tem dicas para estudar. Cristina Fernández argues that her country’s latest default is different. She is missing the point. ARGENTINA’S first bond, issued in 1824, was supposed to have had a lifespan of 46 years. Less than four years later, the government defaulted. Resolving the ensuing stand-off with creditors took 29 years. Since then seven more defaults have followed, the most recent this week, when Argentina failed to make a payment on bonds issued as partial compensation to victims of the previous default, in 2001. Most investors think they can see a pattern in all this, but Argentina’s president, Cristina Fernández de Kirchner, insists the latest default is not like the others. Her government, she points out, had transferred the full $539m it owed to the banks that administer the bonds. It is America’s courts (the bonds were issued under American law) that blocked the payment, at the behest of the tiny minority of owners of bonds from 2001 who did not accept the restructuring Argentina offered them in 2005 and again in 2010. These “hold-outs”, balking at the 65% haircut the restructuring entailed, not only persuaded a judge that they should be paid in full but also got him to freeze payments on the restructured bonds until Argentina coughs up. Argentina claims that paying the hold-outs was impossible. It is not just that they are “vultures” as Argentine officials often put it, who bought the bonds for cents on the dollar after the previous default and are now holding those who accepted the restructuring (accounting for 93% of the debt) to ransom. The main problem is that a clause in the restructured bonds prohibits Argentina from offering the hold-outs better terms without paying everyone else the same. Since it cannot afford to do that, it says it had no choice but to default. Yet it is not certain that the clause requiring equal treatment of all bondholders would have applied, given that Argentina would not have been paying the hold-outs voluntarily, but on the courts’ orders. Moreover, some owners of the restructured bonds had agreed to waive their rights; had Argentina made a concerted effort to persuade the remainder to do the same, it might have succeeded. Lawyers and bankers have suggested various ways around the clause in question, which expires at the end of the year. But Argentina’s government was slow to consider these options or negotiate with the hold-outs, hiding instead behind indignant nationalism. Ms Fernández is right that the consequences of America’s court rulings have been perverse, unleashing a big financial dispute in an attempt to solve a relatively small one. But hers is not the first government to be hit with an awkward verdict. Instead of railing against it, she should have tried to minimize the harm it did. Defaulting has helped no one: none of the bondholders will now be paid, Argentina looks like a pariah again, and its economy will remain starved of loans and investment. Happily, much of the damage can still be undone. It is not too late to strike a deal with the hold-outs or back an ostensibly private effort to buy out their claims. A quick fix would make it easier for Argentina to borrow again internationally. That, in turn, would speed development of big oil and gas deposits, the income from which could help ease its money troubles. More important, it would help to change perceptions of Argentina as a financial rogue state. Over the past year or so Ms Fernández seems to have been trying to rehabilitate Argentina’s image and resuscitate its faltering economy. She settled financial disputes with government creditors and with Repsol, a Spanish oil firm whose Argentine assets she had expropriated in 2012. This week’s events have overshadowed all that. For its own sake, and everyone else’s, Argentina should hold its nose and do a deal with the hold-outs. backs up Ms Fernández decision not to pay the so-called “vulture” funds. takes no definite opinion of the decision taken by the American court. does not exempt Argentina’s president from responsibility for the default. implies that the bondholders who refuse to negotiate shouldn’t really be paid. considers Argentina’s position as an international pariah well-deserved. Thousands of creatures will qietly disappear if we only focus on the most fascinating species. The struggle to preserve the world’s biodiversity is being compromised by fatal flaws in the way conservations draw up their lists of endangered species. An australian botanist warms that the lists reflect the plants and animals that scientists are most interested in studying, rather than the most threatned species or those at risk of extinction. For instance, says Mark burgman of the University of Melbourne, lists compiled and used by organizations such as the World Conservation Union (IUCN) and the Secretariat to the CITES agreement are heavily biased toward birds, mammals and flowering plants, to the detriment of less charismatic species such as insects and fungi. If no one tackles the problem, Burgman believes we will unwittingly focus our conservation efforts in the wrong places, and fail to stop the biggest mass extinction since dinosaurs. Rare species lists contain fewer threatened insects than birds, although we know of nearly a milion insect species and fewer than 10,000 birds. That’s because most insects are poorly studied, says Burgman. For most, all that we have is a specimen in a museum and a brief formal description, he says. Generally, little or nothing is known about their habitat and abundance, and no one may have looked for them since their discovery. ―We assume all’s well because we don’t have any evidence, and we don’t have evidence because we haven’t looked‖, Burgman says. Georgina Mace, director of science athe Zoological Society of London and chair of the Species Survival Comittee, thinks Burgman has identified real problems. Yet she says that groups like the IUCN are adressing them. Starting with amphibians, it has begun assessing the global health of whole groups of related animals, species by species. Putting a species on the Red List is like assessing people coming into a hospital emergency room, she says. It’s not a robust prediction of what will happen, but it’s a quick way to pick out the sickest. But Burgman says that the criteria for assessing whether a species will go extinct vary from country to country and from study to study. He has compared a range of studies and found that different methods produce very inconsisitent results. He says conservation scientists ―need to get our act together‖ and develop a uniform set of tools that everyone can test and agree upon. Even ―extinction‖ can be hard to define, he points out. A surprising number of species have been declared extinct, only to resurface later after people had given up looking for them. Carol is _________ economist. She used to work in _________ investment department of Loyds bank. Now she works for ______ American bank in ________ United States. Complete the paragraph below with an appropriate article. According to ______ most recent United States census (1995), 36.4 million people live below ______ federal poverty line. For ______ family of four, ______ poverty level is ______ income of $15,562, for ______ family of three, $12,158. Of all demographic groups, poverty is highest among female-headed families with children. Children make up 40 percent of ______ poor, though they are 27 percent of ______ total population. About 15 million children live in poverty, and the poverty rate for children is higher than any other group. _____ city claimed to be _____ capital of _____world, New York City. The Island of Manhattan, one of the five districts of New York, is the richest, most urban and most filled with attractions. The largest green area of the Manhattan Island, with 340 hectares of woods, grass and lakes, Central Park is one of the great surprises in the city. Fifth Avenue, one of the most famous addresses in the world, marks the middle of the city, like Greenwich Meridian, in London, marks the middle of the Earth. Some of the most expensive and luxurious stores are located there, just like some of the best museums. A present from the French government to the United States in 1866, The Statue of Liberty is one of the most visited spots in New York. 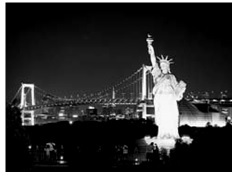 It is not located in Manhattan, but rather in Liberty Island, a small island between Wall Street and Staten Island. a – the – a – the – a.
an – the – a – the – the. the – a – a – the – the. a – an – the – a – the. an – the – a – the – a.
Oppressed people deal with their oppression in three characteristic ways. One way is acquiescence: the oppressed resign themselves to their doom. They tacitly adjust themselves to oppression, and thereby 5become conditioned to it. In every movement toward freedom some of the oppressed prefer to remain oppressed. There is such a thing as the freedom of exhaustion. Some people are so worn down by the yoke of 10oppression that they give up. This is the type of negative freedom and resignation that often engulfs the life of the oppressed. But this is not the way out. To accept passively an unjust system is to cooperate with that system; thereby the oppressed 15become as evil as the oppressor. Non-cooperation with evil is as much a moral obligation as is cooperation with good. A second way that oppressed people sometimes deal with oppression is to resort to physical violence and 20corroding hatred. Violence often brings about momentary results. Nations have frequently won their independence in battle. But in spite of temporary victories, violence never brings permanent peace. It solves no social problem; it merely creates 25new and more complicated ones. The third way, open to oppressed people in their quest for freedom, is the way of nonviolent resistance. Nonviolence can touch men where the law cannot reach them. When the law regulates 30behavior it plays an indirect part in molding public sentiment. The enforcement of the law itself is a form of peaceful persuasion. But the law needs help. Here nonviolence comes in as the ultimate form of persuasion. It is the method which seeks to 35implement the just law by appealing to the conscience of the great decent majority who through blindness, fear, pride, or irrationality has allowed their consciences to sleep. The nonviolent resisters can summarize their 40message in the following simple terms: We will take direct action against injustice without waiting for other agencies to act. We will not obey unjust laws or submit to unjust practices. We will do this peacefully, openly, cheerfully because our aim is to 45persuade. We adopt the means of nonviolence because our end is a community at peace with itself. We will try to persuade with our words, but if our words fail, we will try to persuade with our acts. We will always be willing to talk and seek fair 50compromise, but we are ready to suffer when necessary and even risk our lives to become witnesses to the truth as we see it. The way of nonviolence means a willingness to suffer and sacrifice. It may mean going to jail. It 55may even mean physical death. But if physical death is the price that a man must pay to free his children from a permanent death of the spirit, then nothing could be more redemptive. In the text, the argumentation is structured by means of descriptions of situations and restrictions. education too early in life. Others2 feel that computers do not replace child play; they3 simply enhance it by freeing the imagination, for example in allowing children to write stories on the computer. Most people would probably agree, however, that it is too soon to know how computers will affect the education of children. Interviewer: Should computers be encouraged in schools? Reply 1: We’ve had many other fads in education, like tape recorders and television, and these things4 were not the alvation of our schools. The computer is just another fad. It’ll die out in a few years, you’ll see. Reply 2: Educators are too conservative to use computers wisely in the schools. So far, computers have been used mostly for drill work, and doing drills is not the best way to learn. I’m against using computers in schools unless some more imaginative uses are found for them. Reply 3: Using the computer to write can be very freeing for children. Because they do not have to worry about holding a pencil and shaping letters, they can concentrate on what they are writing, and their5 stories can become very imaginative. I think using computers for writing is very worthwhile. Let’s keep them. Reply 4: Children should learn the basics of computers simply because computers are affecting our everyday world in so many ways. We don’t want to raise computer illiterates. We’d better let children become acquainted with them6 in school. Reply 5: If you start children with computers too early in life, the computers will control the children. Children need to be active, to be outdoors; they7 don’t need to be silently hooked to a computer. Reply 6: As long as children get a balanced education, I see nothing wrong with encouraging children to learn to use computers in school. Working with a computer can help you to learn math and accounting. And if writing on the computer helps you become a better reader, what’s wrong with that? ________ educators in our country are very conservative. __________ Brazil is __________ most industrial country in __________ South America, while __________ United States holds __________ same position in _______ North America. The Brazilians are very friendly. The old man is arriving right now. The spring is the season of flowers. The New York is a very beautiful city.